GOHR, s.r.o. specializes in the production of heavy steel structures based on customer specifications. We are among the largest producers of custom heavy steel constructions in the region. The company was established using know-how and experience earned through hard work since 1999. GOHR, s.r.o. has a wealth of experience and the technical equipment needed to get the job done. Our quality makes us a leading exporter. 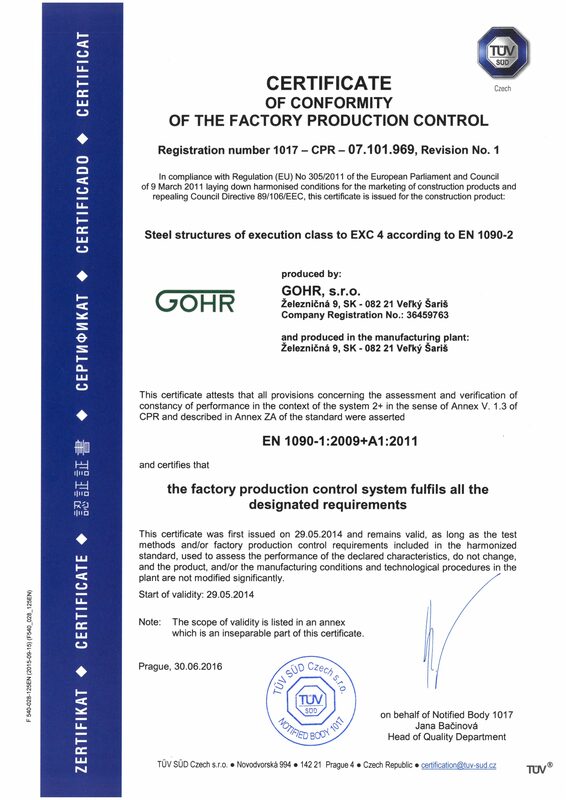 More than 96% of production at GOHR s.r.o. is exported to Germany, Austria, Italy, France, Switzerland, Sweden, Australia and other countries. The philosophy at GOHR s.r.o. is to continuously move forward and accept new challenges. GOHR s.r.o. is a stable partner on the Slovak and international market. 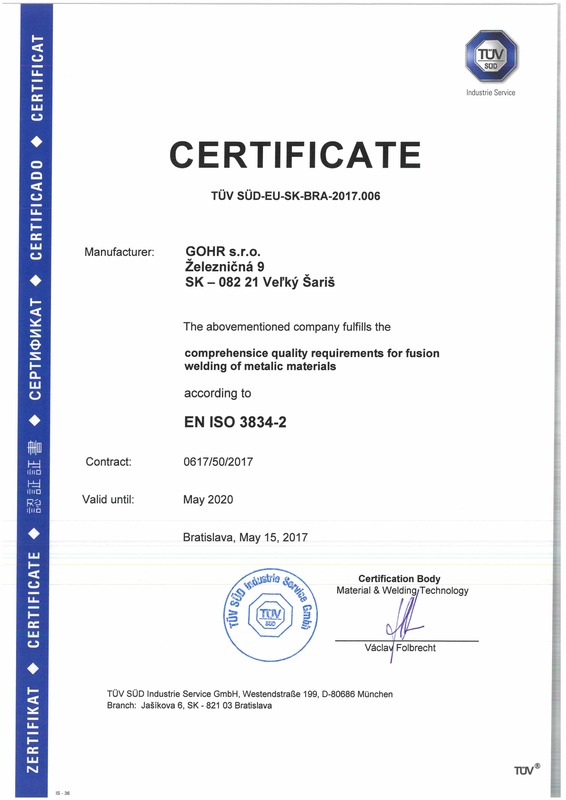 GOHR s.r.o. currently has around 330 employees and work is managed using an SAP information system. The company invested more than €12,400,000 as of 2011 into the renovation of buildings, the modernization of production and its tooling and the construction of its New Plant. In 2016, the company added the purchase of an Assembly Hall with 10,666 m2 of new space and now boasts total production space of ~24,000 m2.